Just like many non-profit organizations, our efforts would not be possible without the passion and dedication of volunteers. As a volunteer, you will be able to participate in initiatives that help conserve the beauty of White Memorial Foundation’s property or advance our mission in the areas of education, recreation, research, and conservation. Because we are such a multi-faceted organization, there is a wide variety of volunteer opportunities to choose from. You will receive training and leadership from the staff, but will also be able to work independently, meeting periodically to share observations and report findings. Please fill out this Volunteer Application so we can get to know more about you, and mail it back to: White Memorial Conservation Center, Attn: Volunteer Application, P.O. Box 368, Litchfield, CT 06759. We will contact you if we have any volunteer opportunities that match your interests. If you are in need of fulfilling community service hours, please contact Lukas Hyder, our Forest Manager: lukas@whitememorialcc.org or call 860-567-0857 x12. 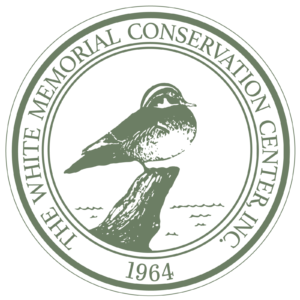 White Memorial Conservation Center offers volunteer internship opportunities for college and high school students. These professional opportunities help students explore career paths in Natural Resource Management, Conservation Biology, and Environmental Education. Interns are expected to complete a product demonstrating their internship experience and be in good academic standing with their school. Please fill out this Volunteer Application and contact the appropriate staff person to guide you through our internship program. If you are a high school student (no parent contacts, please) in need of fulfilling hours for an Agricultural Sciences program, please contact Gerri Griswold, our Director of Development and Administration: gerri@whitememorialcc.org or call 860-567-0857 x18.